Sterling silver liquor set with handcrafted design and semi-precious stones. The set contains a large Kiddush cup and four matching liquor cups. 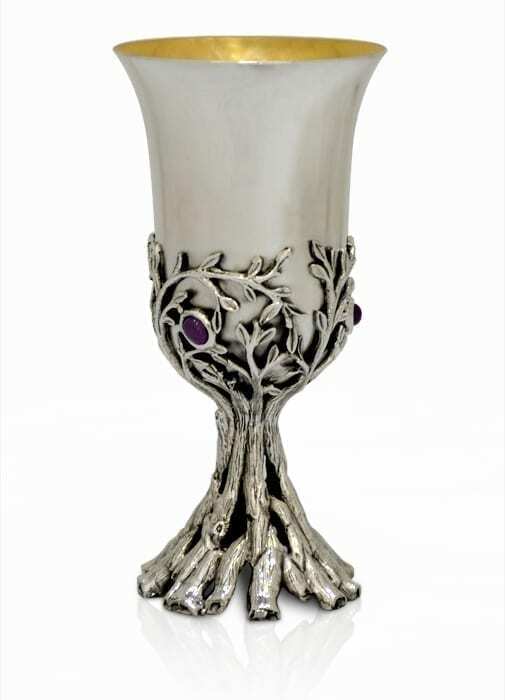 The cup design features a smooth silver cup which stands atop a trunk-like stem which climbs up onto the bowl of the cup, branching out into elegant silver leaves which are dotted with semi-precious amethyst stones. 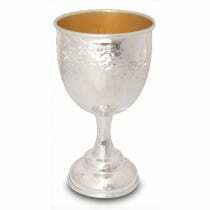 Cups are coated in gold to retain the taste and quality of the wine.